AJ Capital bought the Chancellor Hotel in downtown Fayetteville and plans to convert the property into a boutique Graduate Hotel. [name] => Bruce Oakley Inc.
[tag] => Bruce Oakley Inc.
[summary] => North Little Rock Mayor Joe Smith had heard complaints about the North Little Rock Municipal Airport. Last fall, he asked some of the critical executives to put their concerns in writing, into a form he could take to the City Council. They did, and the remarks were scathing. The letters from the corporate executives to North Little Rock Mayor Joe Smith were scathing. The facilities at the North Little Rock Municipal Airport are inadequate and shabby, embarrassingly so, the executives told the mayor. “We are the largest general aviation airport in the state and have the worst facilities in the state,” wrote Rick Ashley, principal and owner of the Ashley Group. The letters were written at Smith’s request. He’d heard complaints about the airport, but last fall he asked some of the critical executives to put their concerns in writing, into a form he could take to the City Council. They did. In February, the council, by a vote of 6-1, approved a resolution of “intent” for a $4 million bond issue to fund improvements at the airport. The resolution allows Smith to take the next step in the process: determining the cost and terms of a bond issue through discussions with Little Rock law firm Friday Eldredge & Clark and Stephens Inc. Moving past that step will require another vote of the City Council. And in what’s now a global economy, communities throughout the South are doing everything they can to show the world that they’re progressive cities, Smith said. He can take visitors to North Little Rock on a tour of downtown “and they’re going to be able to see that we’re progressive, but when they land out here at the airport — you know you only have one opportunity to make a first impression and that’s not a good first impression,” he said. Smith considers the airport an “economic development engine” for a city, noting that Maverick, the Ashley Group and Bruce Oakley alone are responsible for at least 3,000 jobs. “That’s our responsibility, I think, to make the atmosphere of our city conducive to maintaining current businesses and their local growth and enticing new people to come and invest their money and hire our citizens,” he said. The envisioned airport improvements include a new 5,900-SF fixed-base operation building, a new 10,400-SF corporate hangar to house about six more corporate planes and the replacement of 1940s-era hangars with 12 T-hangars that house aircraft in an alternating nose-to-tail configuration to save space. The North Little Rock Municipal Airport, a general aviation airport at 8200 Remount Road, averages about 56,000 “operations” — takeoffs and landings — a year. The 800-acre airport, which opened in 1960, is the base of about 20 corporate jets, and it’s home to two fixed-base operators, or FBOs: North Little Rock Jet Center and Barrett Aviation. The Arkansas Department of Aeronautics estimated the airport’s economic output in 2017 at about $15 million, and it supports about 150 jobs with a payroll of $6.2 million. At many municipal airports, the city operates the FBO, with the sale of fuel being a major source of revenue, said Clay Rogers, director of the North Little Rock airport. That’s not the case for North Little Rock. However, the city does own the two buildings occupied by North Little Rock Jet Center and Barrett Aviation, which lease them. The airport also leases buildings to several enterprises, including the North Little Rock Electric Department and Central Arkansas Water. Most of the airport’s operating budget comes from rents on those buildings and hangar rents. It also gets about $100,000 annually from the city. The airport houses about 200 aircraft, Rogers said. Its hangars are full, according to the mayor. Taggart Architects of North Little Rock has been hired to draw up plans for the airport improvements. The next step, Smith said, is for Taggart to draw up tentative but more detailed plans for the upgrades. The mayor thinks that will take about 45 days and then he can present the plans to the council, in the hope that it will give him the go-ahead for the bond issue and the $4 million in improvements. “That airport is all about economic development,” Smith said. [summary] => Harrison will be of counsel and will focus her practice on insurance defense and coverage, product liability, medical malpractice, personal injury defense, transportation litigation, fire and arson investigations and appellate advocacy. Michael McCarty Harrison has joined Friday Eldredge & Clark in Little Rock. Harrison will be of counsel and will focus her practice on insurance defense and coverage, product liability, medical malpractice, personal injury defense, transportation litigation, fire and arson investigations and appellate advocacy. 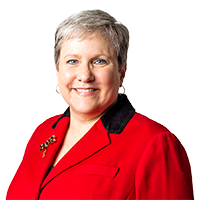 She has 20 years of litigation experience and previously was a partner with Watts Donovan & Tilley in Little Rock. See more of this week's Movers & Shakers, and submit your own announcement at ArkansasBusiness.com/Movers. [summary] => A federal lawsuit filed by death row inmates has renewed a court fight over whether the sedative Arkansas uses for lethal injections causes torturous executions, two years after the state raced to put eight convicted killers to death in 11 days before a previous batch of the drug expired. LITTLE ROCK — A federal lawsuit filed by death row inmates has renewed a court fight over whether the sedative Arkansas uses for lethal injections causes torturous executions, two years after the state raced to put eight convicted killers to death in 11 days before a previous batch of the drug expired. Arkansas recently expanded the secrecy surrounding its lethal injection drug sources, and the case heading to trial Tuesday could impact its efforts to restart executions that have been on hold due to a lack of the drugs. It'll also be the latest in a series of legal battles over midazolam, a sedative that other states have moved away from using amid claims it doesn't render inmates fully unconscious during lethal injections. States that want to avoid unnecessarily inhumane executions will be watching closely, said Robert Dunham, executive director of the Death Penalty Information Center, which has criticized the way states carry out the death penalty. But, Dunham added, "states that are watching because they want to figure out how to just execute people will be looking to see what Arkansas is able to get away with." Only four of the eight executions scheduled in Arkansas over 11 days in 2017 actually happened, with courts halting the others. The state currently doesn't have any executions scheduled, and Arkansas' supply of the three drugs used in its lethal injection process has expired. Another round of multiple executions is unlikely if Arkansas finds more drugs, since only one death row inmate has exhausted all his appeals. This time, Arkansas isn't racing against the clock to execute inmates before a drug expires. The state currently doesn't have any execution drugs available, but officials believe they'll be able to get more once the secrecy law takes effect this summer. State Attorney General Leslie Rutledge says the inmates in the case have a very high burden to meet and cites a U.S. Supreme Court ruling last month against a Missouri death row inmate. Justice Neil Gorsuch, writing for the majority in that case, wrote that the U.S. Constitution "does not guarantee a prisoner a painless death." Rutledge called the federal case in Arkansas the latest attempt by death row inmates to delay their sentences from being carried out. "Juries gave these individuals lawful sentences for committing the most heinous acts against a human being, taking another human being's innocent life," Rutledge, a Republican, said. "We must see these sentences carried out. The families of these victims deserve justice." Thirty states have the death penalty. Governors in four of them — Oregon, Colorado, Pennsylvania and California — have declared moratoriums, and court rulings have effectively put executions on hold in several others. The list of death penalty states is poised to shrink, though, with New Hampshire lawmakers sending the governor a repeal measure. Bills to repeal or significantly curtail the death penalty have been introduced in 18 states this year, Dunham said. Much of the trial over Arkansas' process will focus on midazolam, which critics have said doesn't render inmates fully unconscious before the other lethal injection drugs are administered. The U.S. Supreme Court upheld midazolam's use in executions in 2015, but its use continues to prompt legal challenges nationwide. Seven states have used the sedative as the first administered in a three-drug execution process, and two have used it in a two-drug process, according to the Death Penalty Information Center. Critics have cited problematic executions involving the sedative as evidence that it doesn't work properly. Oklahoma inmate Clayton Lockett remained alive for 43 minutes, groaning and writhing on a gurney after an intravenous line was improperly connected in his 2014 execution. Inmate Joseph Wood gasped for air, snorted and his belly inflated and deflated during the nearly two hours it took him to die during his execution in Arizona in 2014. Under Arkansas' execution process, inmates are first administered midazolam. They're then administered vecuronium bromide, which stops the lungs, followed by potassium chloride, which stops the heart. Attorneys for a group of death row inmates argue that two of Arkansas' executions in 2017 demonstrate the problems with midazolam. One execution cited is that of convicted murderer Kenneth Williams, who witnesses said lurched and convulsed 20 times before he died. Another inmate, Marcel Williams, arched his back and breathed heavily during his execution, according to a witness. Based on past court rulings, the inmates will also have to prove there's an alternative to the state's lethal injection method available that's likely to be less painful. The inmates' attorneys have argued those alternatives include firing squads and a barbiturate commonly used in physician-assisted suicide. Other states have moved away from midazolam over concerns about the drug. Ohio's Republican governor earlier this year ordered the prison system to look at alternative drugs after a federal judge said midazolam could cause severe pain and needless suffering. Oklahoma put executions on hold in 2015 after a series of mishaps that included a botched execution involving midazolam, and the state is now developing a plan to execute inmates using nitrogen gas. "If the court in Arkansas finds that midazolam is a drug that doesn't do what the state claims that it does and in effect tortures prisoners when it's used in executions, that's going to be another state that may not be able to use the drug," said Dale Baich, an assistant federal public defender in Arizona who has been involved in litigation in that state and Oklahoma over the use of midazolam. The trial comes weeks after Arkansas Gov. Asa Hutchinson signed into law a measure prohibiting the release of information that could directly or indirectly identify the source of its executions drugs. The measure was in response to state Supreme Court rulings that the current secrecy law doesn't cover the manufacturers of Arkansas' drugs. Arkansas' supply of drugs has expired, and prison officials last year said they wouldn't search for more until the secrecy measure was enacted. The bill faced criticism from media organizations and death penalty opponents, especially over its criminal penalties for recklessly disclosing the information. Two pharmaceutical companies also objected to the law, saying it would hamper their ability to ensure their drugs aren't used in executions. The new law takes effect in late July. [summary] => The pending sale of Mountain Home's Integrity First Bank to Stuttgart's Farmers & Merchants Bank represents a book value multiple of 1.43. The pending sale of Mountain Home’s Integrity First Bank to Stuttgart’s Farmers & Merchants Bank represents a book value multiple of 1.43. The proposed $80.5 million cash acquisition of the $511.6 million-asset lender will increase the size of Farmers by 50% and expand its footprint deeper into north Arkansas. Integrity’s nine-branch network ranges from Jonesboro and Pocahontas in the east to Bentonville and Fayetteville in the west. • Harrison’s Coffman Family LLC, led by Cynthia Morris and Cathy Coffman Brandt, 9.86% worth $7.9 million. • The Morris Family of Fayetteville through the Frank C. Bailey Trust, Cynthia Morris and her namesake individual retirement account, 6.84% worth $5.5 million. • The Brandt Family of Harrison through Jason, Jeffrey, Larry and Cathy Coffman Brandt, 6.78% worth more than $5.4 million. • The Coulter Family through the Coulter Family Trust and Coulter Residuary Trust, both led by William Coulter; Kelly and John McCuistion of Harrison, the Kent & Karen Coulter Revocable Trust of Boerne, Texas; Kimberly and Bart Ferguson of Benton and William and Lucretia Coulter of Mountain Home, 5.01% worth $4 million. • The Kent Family through two trusts, led by Wanda Kent of Fayetteville; and the Barbie Ann Kent Trust of Mountain Home, 6.55% worth nearly $5.3 million. Integrity First holds the second-largest share of deposits in the $1 billion-deposit Baxter County market at nearly 21.5%, totaling $219 million. At No. 1 is Searcy’s First Security Bank with a 27.45% share totaling $280 million. Rounding out the top five are Arvest Bank of Fayetteville, nearly 20.4% totaling $208 million; Centennial Bank of Conway, nearly 8.4% totaling more than $85 million; and Anstaff Bank of Green Forest, 6.7% totaling nearly $69 million. Source: Federal Deposit Insurance Corp. Dollars in thousands except where noted.